Truthfully, I’ve been putting off writing this update because I hoped that I would have better news by now of the “wow, we sold our house so fast!” variety. Sometimes it seems to me that God knows my heart and my weaknesses and uses these kinds of situations to strengthen me. I can be incredibly childish sometimes and wonder why things aren’t happening on my timeline. As if I actually have control! Motherhood has helped me lessen my death grip on control, role with the punches (a tad bit better), and to be open to the possibilities of the unknown. But I still struggle with a lack of patience. In other news, V and I both have just a few more weeks of school left: preschool for her and my online university classes that I’m teaching. 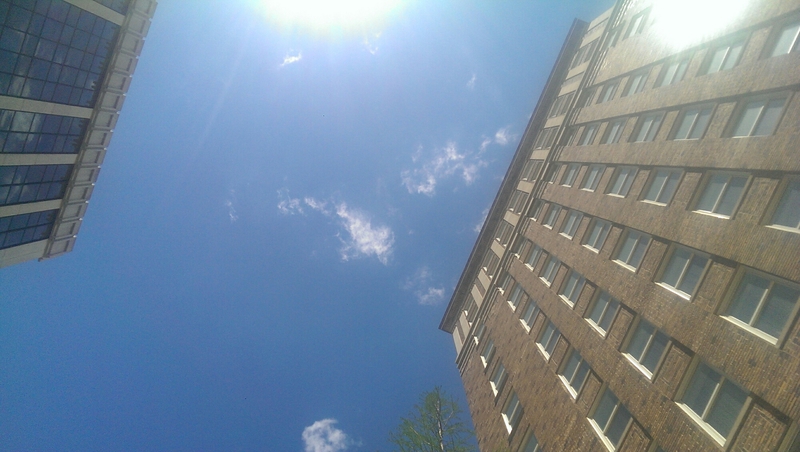 The mild and fair springtime weather has begun to bow out and scorching hot summer temperatures are soon to follow. 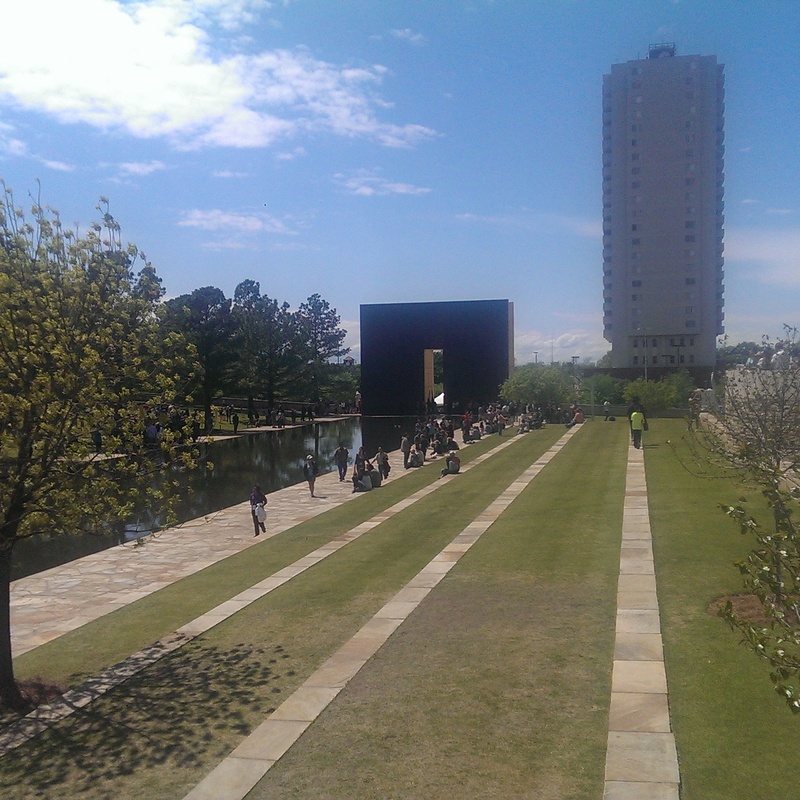 Sunday during our open house, we spent a few hours running around the city: lunch al fresco at a cafe, a quick stop by the OKC Memorial to recognize the 20th anniversary of the Murrah Federal building bombing, and hours of sun-drenched play at a neighborhood playground. 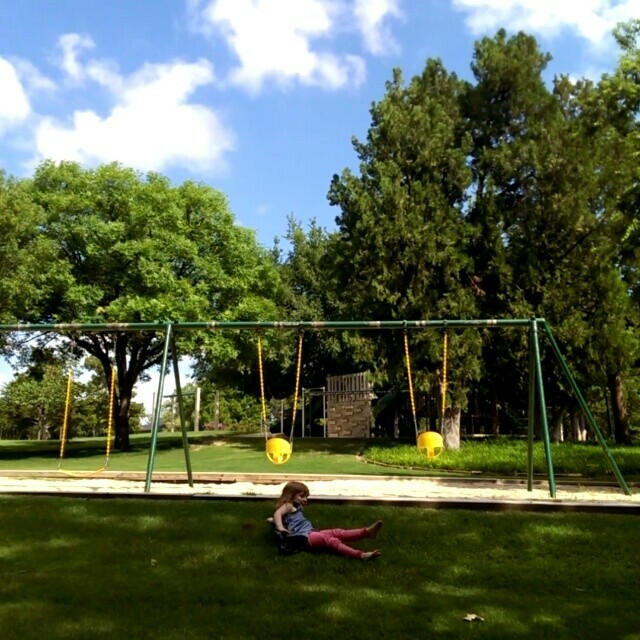 V made friends with another 4 year old girl, and the two spent the afternoon spinning wildly in a tire swing, digging under rocks below a swaying oak tree for grubs and rolly-pollies, and giggling atop the play equipment in pretend play. It warms my heart to see her make friends so easily and to be open to new friendships. Fearless little C, who is now 15 months old, climbed all over the playground, hurled herself backwards down the twisting slide, and in general, danced with danger and shrieked with excitement the whole time. Afterward we headed home; Kirk and V played Frisbee in the neighbor’s front yard with a few others, while C and I perched ourselves on the sidelines, enjoying a snack on the shaded front porch. The afternoon was the gentle nudge I needed to remember that living in the moment is the best antidote to impatience. What Do Boston, Crossfit and Fear Have in Common? 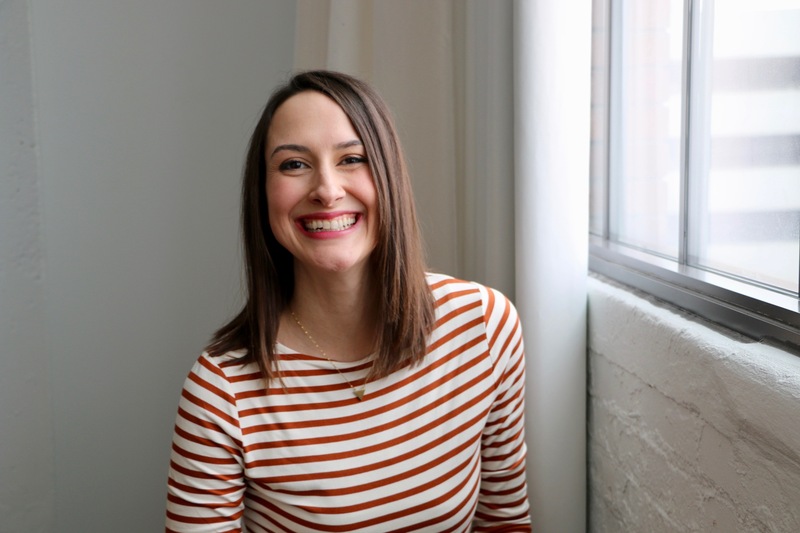 Hey, I’m Kate, mama of 3, writer, and podcaster of Streamlined Motherhood and co-host of Cohesive Home. 8 years ago I began my motherhood and simple living journey, and it’s in this space I share my experience with choosing a slower and more connected life with my family. Enter your email address to get simple living, family travel, and motherhood inspiration straight to your inbox. We used to live in a 675 sq. ft house! 2 bedrooms, 1 itsy-bitsy bathroom and kitchen, and all the charm of a kid's drawing of "home" (you know, a square house, front door with a window on either side and a chimney atop. 😍) Isn't if funny how the places you've lived become like bookmarks in your family's memory book? This house always makes me think of warm summer nights, walking to the farmer's market, sandy beach feet, moses basket and a tiny newborn sleeping on a sheepskin, and the smell of bubbling applesauce on the stove after playing in apple orchards with dear friends. But let's be clear: I don't miss this house. 😊 We've lived such a full life in our nearly 12 years of marriage! We've lived in a city, an RV, my parents' home, apartments, and all of them have felt like home. More of a choice than anything, to simply embrace imperfection and call it OURS. Do you have a favorite place you've ever lived? Tell me about it! Is it possible to be fully present in motherhood? It's the goal, right? To be honest, I haven't done a very good job of it lately. It's been a value of mine, to live simply, to have slow and connected days together as a family. But my desire to help others, to share the joy of living simply, has left me wondering how I got so busy? This morning I meditated on it all, wrote a few pages, and remembered that simple is a concious lifestyle, that like a garden, has to be tended or the weeds take over. I'm doing some pruning in my life, and I hope it encourages you to know that no one has a perfect balance in motherhood and especially not me. But I'm going to keep trying, to give these 3 kiddos my heart and my attention daily and with love. Who's ready to hit the road on an epic adventure? My travel inspiration giveaway ends tonight at midnight CST, so head 2 posts back to enter!